The 2012 Ford Harley-Davidson™ F-150 delivers on the custom cool design the lineup is known for, with new snakeskin leather interior accents and a stylized bodyside graphic. Also new are the wheel design and a premium paint color. 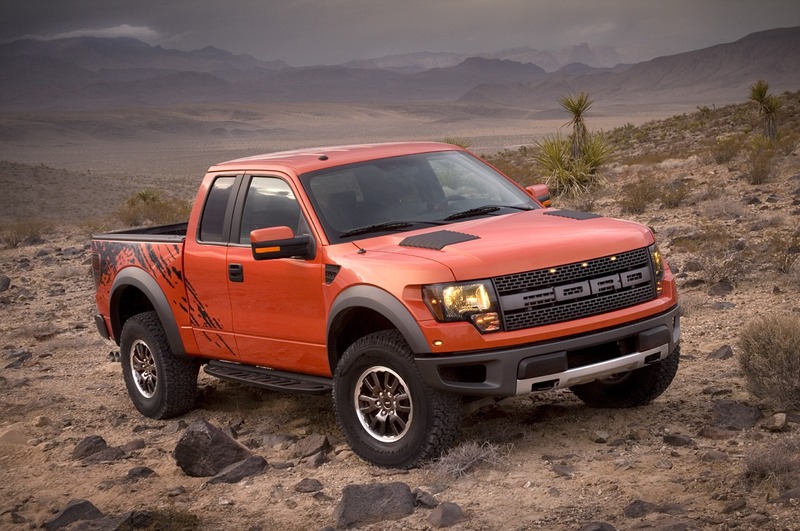 Combine that with a standard 6.2-liter V8 engine and plenty of technology, and it delivers power, capability and style like no other.“This is a great pairing of two icons of the open road: Ford and Harley-Davidson. Both brands appeal to truck owners and motorcycle enthusiasts alike,” said Marc Lapine, Ford F-150 marketing manager. 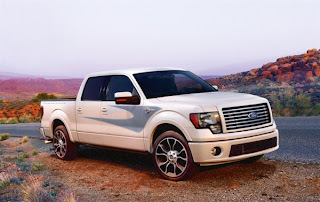 “For 2012 we worked with Harley-Davidson to continue to push the styling envelope while still delivering the durability and power that F-150 is known for and that our collective customers expect. It perfectly captures both brands.”The successful collaboration between Ford and Harley-Davidson has produced 10 F-150 models, as well as six Super Duty F-250 and F-350 models, and in 2009 the first Harley-Davidson F-450 edition truck. 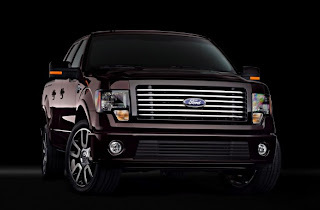 Ford has sold more than 70,000 Ford Harley-Davidson F-Series trucks since the brands teamed up in 1999.The exterior of the 2012 Ford Harley-Davidson F-150 offers a bold front fascia and six-bar billet-style bright chrome grille, and it boasts “Harley-Davidson” bright chrome badging. The truck also has a lowered appearance with a standard, fully integrated deployable running board. Also standard are new 22-inch machined-aluminum wheels with painted accents and Harley-Davidson bar and shield logo on center cap. The paint selection is classic Harley-Davidson – Tuxedo Black and White Platinum Tri-Coat; this is the first year white has been offered. New graphics on the bodyside of the truck are executed in a unique snakeskin texture, while “Harley-Davidson” dimensional lettering is featured on the box side. The snakeskin is inspired by tank inserts on premium-level Harley-Davidson motorcycles and also comes into play on the interior. Interior trim panels are covered in high-gloss Tuxedo Black paint, while the console lid and upper steering wheel carry the snakeskin leather. The scuff plate features brushed aluminum with snakeskin texture. All interior chrome surfaces feature a satin finish. Premium snakeskin leather-trimmed seats come with accent color inserts and unique cloisonné badge. 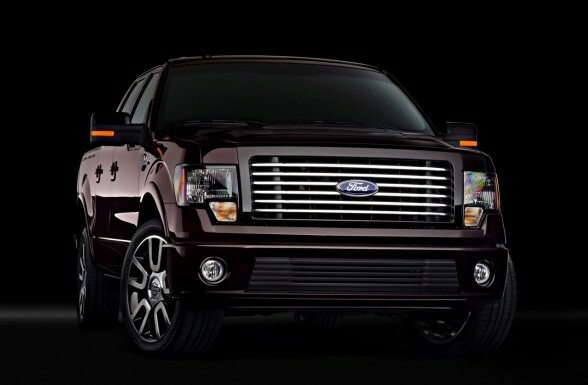 The 2012 Ford Harley-Davidson F-150 interior is customized to appeal to the truck buyer who appreciates the attention to detail for which both Ford and Harley-Davidson are renowned. Examples are the seats and the console lid featuring handmade cloisonné badges that are produced by the same company that makes badges for Harley-Davidson motorcycles; the console has limited-edition serialization plates, which include laser-engraved VIN and build numbers. 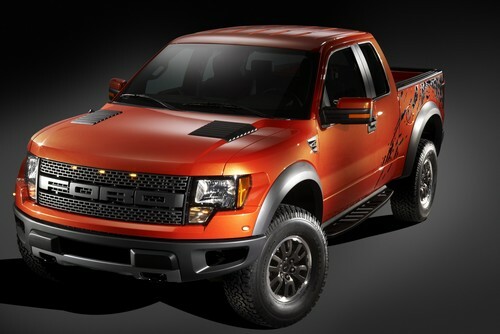 Nearly every member of the Harley-Davidson F-150 team at Ford is a Harley-Davidson owner. 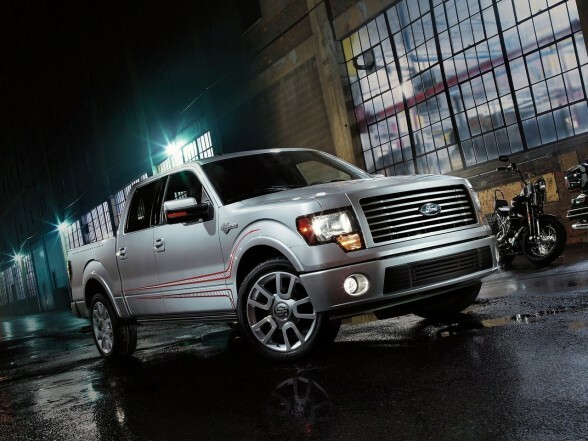 The 2012 Ford Harley-Davidson F-150 offers plenty of technology options to meet customer needs. Key to helping customers take advantage of all the capability offered by the Harley-Davidson F-150 is a standard 4.2-inch LCD (liquid crystal display) productivity screen. This screen offers a range of menu options, giving the customer important information on everything from fuel economy to towing performance. The menu is navigated through a five-way button on the steering wheel; the screen is positioned between the tachometer and speedometer. Additionally, the 2012 Ford Harley-Davidson F-150 comes equipped with a standard voice-activated Navigation System that integrates several functions, including voice-recognition destination entry, climate control and SiriusXM Satellite Radio into one easy-to-use system, displaying them on an 8-inch touch screen. For the customer who wants more control of transmission gear selection, SelectShift Automatic™ transmission functionality is standard. A toggle switch located on the console shift lever engages the mode, where the transmission doesn’t second-guess the driver, giving total control over gear selection and performance feel.